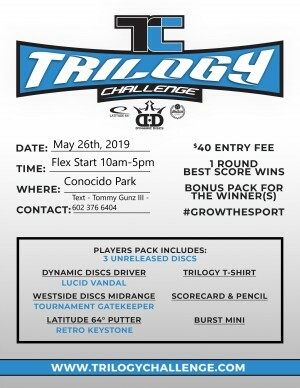 Tournament DirectorTommy Gunz Trujillo Jr.
2019 Trilogy Challenge! 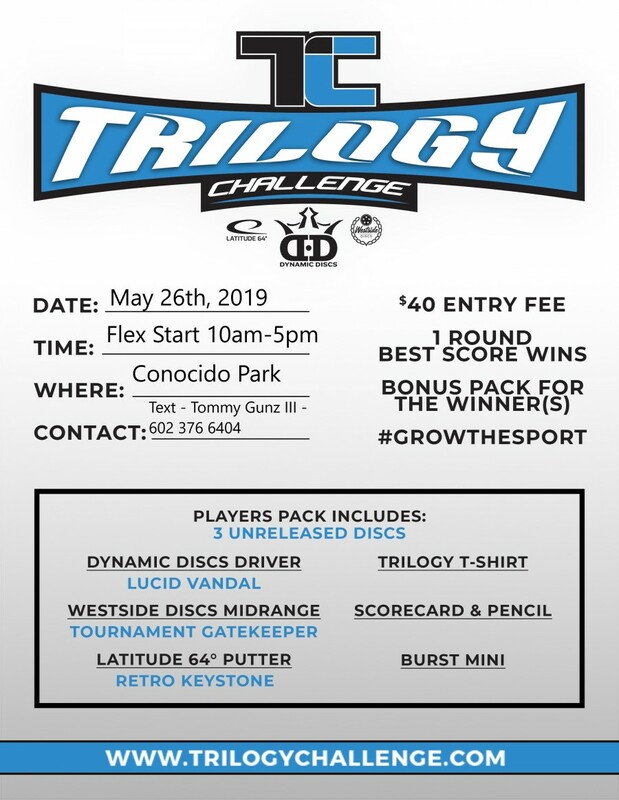 All funds raised will go towards Tommy Gunz III to help him pay for his housing, food and travel to PDGA Amateur Worlds this year in York, PA.
See more info at www.TrilogyChallenge.com !! The pro purse will be completely separate from the TC itself. 50% to Payout, 50% to Tommy Gunz III. Desert Flyers Disc Golf Club is responsible for all refunds and cancellations.